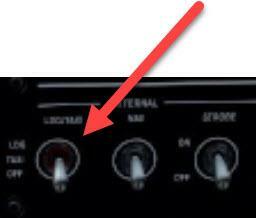 My Carenado Phenom 300 has a few three position switches that I would like to be able to control using WideFS Button Screen. Wondering if anyone can tell me how I might go about doing this? So you need to refer to FSUIPC button assignment facilities. i think the sort of switch you illustrate would be best and most easily served by two button press assignments, one for up and centre and the other for down and centre.